Under contract with UDOT design Consultant, SUE Solutions performed Quality Level ‘A’ Subsurface Utility Engineering services for this UDOT project, located in Nephi, Utah. 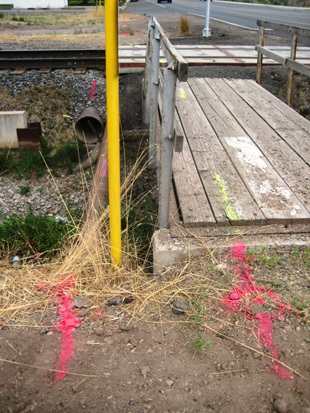 UDOT identified critical railroad crossings which are being designed and constructed to increase the safety of vehicular and pedestrian traffic flows. Intersections affected have roadway widening and box culvert replacement issues which also involve the updating of existing railroad signal facilities. SUE Solutions successfully performed Quality Level ‘A’ potholing services through the use of non-destructive means (vacuum excavation and compressed air) to expose existing utilities gathering critical utility data such as depth, size, material, and material type. This data is to be used to further design the railroad crossing improvements. 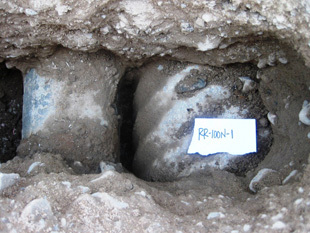 Utilities potholed and exposed consisted of natural gas, CATV, pressurized irrigation, and storm drain.